In the U.S. “only 27% of the 590 major solo shows organized by nearly 70 institutions between 2007 and 2013 were devoted to women.” The Art Newspaper outlines how influential donors, prizes for women, and diversifying museum leadership can help rectify the gender imbalance. Marisol Escobar, known in the 1960s for her wooden Pop Art sculptures, died at the age of 85. 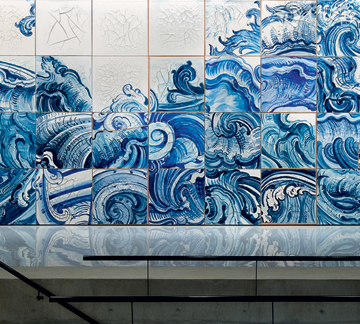 Adriana Varejão’s hand-painted tile mural covers Rio’s 2016 Summer Olympics aquatics stadium. Tauba Auerbach makes a large, geometric pop-up book. Mona Hatoum’s survey includes endoscopic video of her internal organs. Iranian cartoonist Atena Farghadani was released from prison. A fire at German artist Rosemarie Trockel’s home damaged and destroyed more than $30 million worth of art. Cornelia Parker installed a Hitchcock-inspired barn on the roof of the Metropolitan Museum of Art. 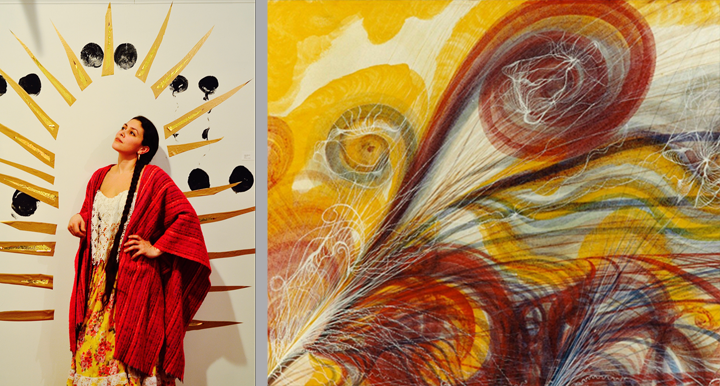 The Los Angeles Times traces 89-year-old artist Betye Saar‘s oeuvre through her recent and upcoming exhibitions. 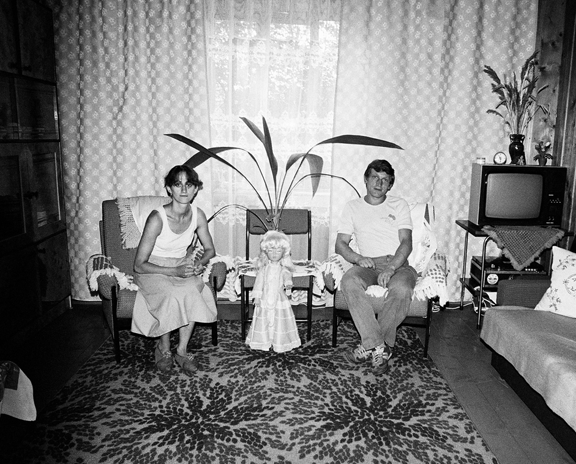 Unnerving, surreal characters in Floria González’s photographs explore the impact of motherhood on her life. Art Basel visitors will help performance artist Alison Knowles toss a giant salad before it is served. Heather Phillipson’s three-part installation for Frieze New York involves dog sculptures, video, trampolines, pillows and more. The Guardian shares the @52museums Instagram project—highlighting one of NMWA’s posts. “It’s so empowering for this generation to see a black ballerina doll that has muscles,” says Misty Copeland about the new Barbie made in her likeness. Gabriela Burkhalter’s The Playground Project explores forgotten artistic playgrounds of the 20th century. The New Yorker delves into two articles written by Harper Lee about the case that brought her to Kansas with Truman Capote. The documentary Eva Hesse, structured around excerpts from her journals, provides a psychological portrait of the artist. Watch the trailer. Five women artists from the Electric Machete Studios collective locked themselves in their studio for 48 hours. 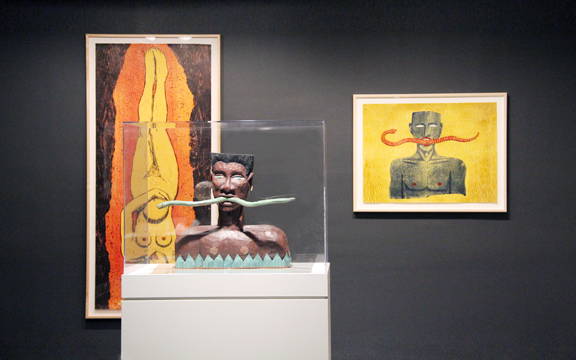 The resulting works reflect the “complex identities of the women as feminists and artists.” Interventions: A Xicana & Boricua Guerrilla Perspective explores the relationship between art, feminism, and indigenous identity. The nominations for the 2016 Golden Globe Awards show recognition of women’s achievements in some categories—but not all. Indiewire lists the female-centric films and television shows nominated. Queen Latifah, Viola Davis, Taraji P. Henson, Uzo Aduba, Regina King, and Gina Rodriguez were nominated for their TV performances, while no actresses of color were nominated in the women’s film acting categories. 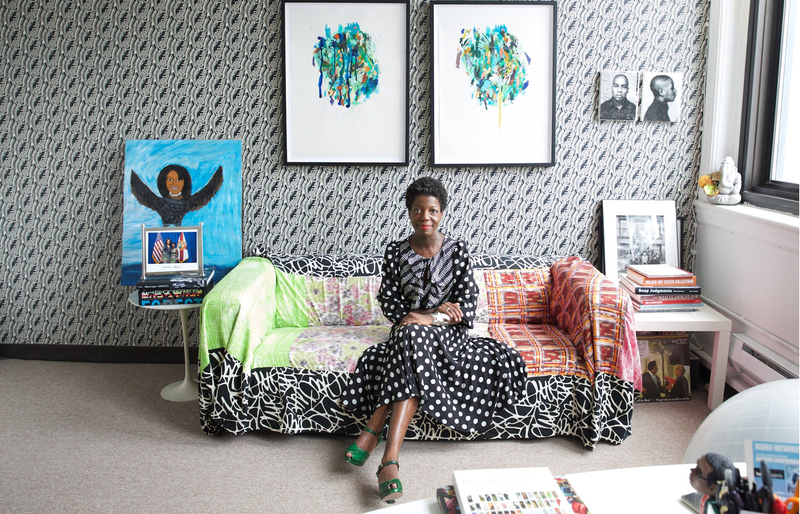 Thelma Golden reflects on her ten years as director of the Studio Museum and discusses her hopes to strengthen Harlem’s identity. Art collector Barbara F. Lee granted the Institute of Contemporary Art in Boston a gift of 20 works of art—with an estimated worth of $42 million—by 12 women artists, including Eva Hesse, Louise Bourgeois, and Kara Walker. artnet shares a list of 20 emerging women artists. “The only art that matters is about the world,” says American artist Deborah Kass. Artinfo interviews Cambodian artist Anida Yoeu Ali about her “Buddhist Bug” video work in the Asia Pacific Triennial of Contemporary Art. The Guardian shares Zofia Rydet’s photographs. 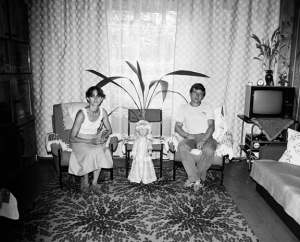 In 1978, at the age of 67, Zofia Rydet attempted to photograph the inside of every Polish household. The Guardian shares a few images from her 20,000-photograph series. Guardian writer John Mullan argues that Jane Austen’s Emma, published 200 years ago this month, changed fiction as one of the great experimental novels. Margaret Atwood is writing three graphic novels about a superhero to raise awareness for two animal conservation charities. Forbes announces Katy Perry as this year’s highest-paid musician in the world. The Telegraph compiles a list of the 60 greatest female singer-songwriters in history. The New Yorker raves about Mexico City-based singer-songwriter Carla Morrison’s magnetic, acoustic songs. Janis Joplin’s psychedelic 1964 Porsche sold for $1.76 million at RM Sotheby’s in New York. The Chicago Tribune selects the top 10 dance works of the last year—and finds a high number of women involved in the projects. 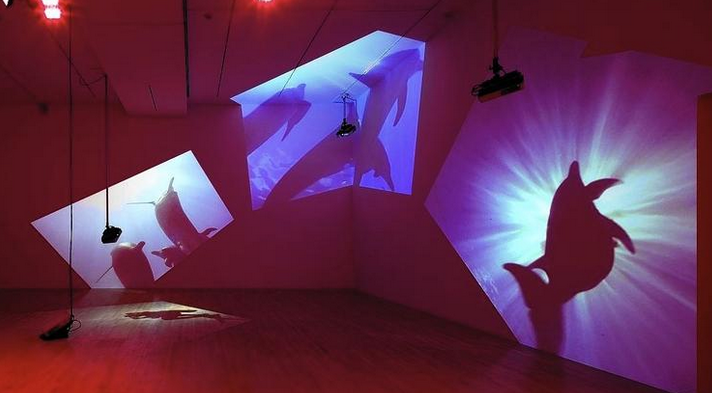 Diana Thater: The Sympathetic Imagination showcases 22 immersive video installations examining the relationships between human and animal. The Los Angeles Times writes, “Video technology becomes an avenue not for reproducing human vision but for imagining an inhuman one.” As a bonus, watch the trailer for the LACMA exhibition. A new site-specific installation at the Henry Moore Institute, The Necropolitan Line, is Katrina Palmer’s re-creation of a train station platform. Betye Saar’s Still Tickin’ showcases the 89-year-old artist’s empowering assemblages and installations that address questions of race and image-makimg.